I got the there’s-nothing-good-on-the-radio-on-a-Monday blues. Turn the dial. Nope, I don’t like that one. Turn again. Well, that one has played at least five times today. The radio seems to have lost its soul. Maybe Commercialism is slowly eating away the blues and replacing it with a shade of green, I think as I switch to AM out of desperation. Nothing but static, which, in a way, seems a lot better than anything else I’ve heard over the past few weeks. Artists that never forget to pay homage to the staples of the blues and vintage rock are what I want to hear in the store, without having to use my headphones. 1. 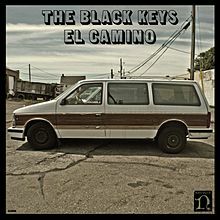 The Black Keys — Album(s) to look out for: Anything they put out, especially their latest release, El Camino. Enough said. Listen. 2. Band of Skulls — Their January 2012 release, Baby Darling Doll face Honey, tops all those cranked-out tunes, with songs like “Blood” and “I Know What I Am.” Prepare for a little in-your-face-and-put-you-in-your-place honesty that always turns heads toward the speakers. 3. Them Crooked Vultures — With rock guru Dave Grohl (Nirvana and Foo Fighters) behind the drums once again and Josh Homme (Kyuss) on the myk, songs like “New Fang” off of their 2009 self-titled album both rock with a 90s-esque and contemporary feel. 5. Dan Auerbach — The Black Keys lead singer/ guitarist Dan Auerbach sat alone on this one, with the all-too-realistic 2009 album, Keep it Hid. But, what do I do now? I mean the radio doesn’t really play this stuff. For now, I think I’ll scrobble some tags of these artists on Last.fm and see what other songs grow on me. But first, I turn the FM radio off.